Have you every had a craving for something cold and fresh on a hot summer day? I often do and instead of a big bowl of ice cream I generally reach for some sorbet, I can no longer indulge in ice cream but have found an alternative in sorbet. 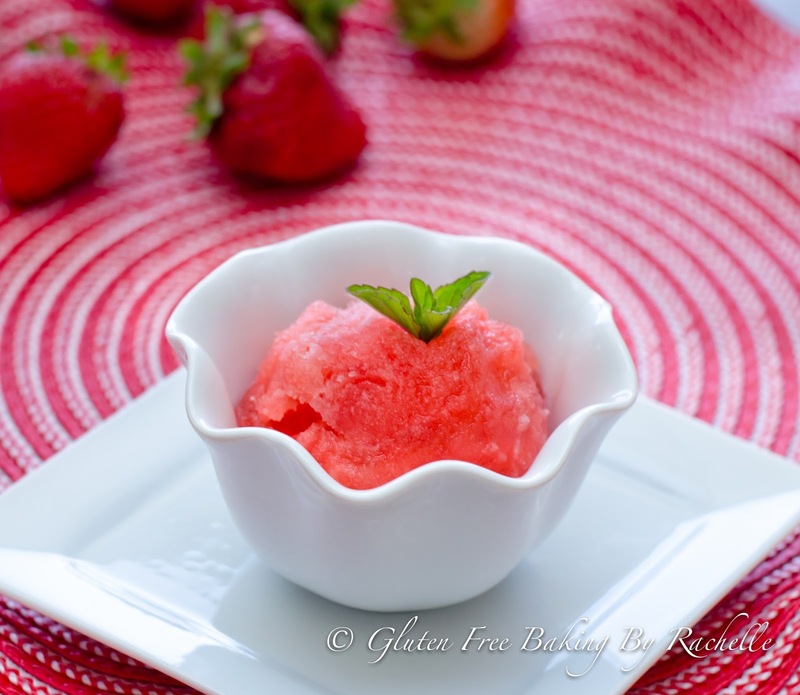 The cool part is that you can make sorbet in an array of different flavor combinations. I have done Strawberry, Lemon, a combination of both, Raspberry, Blueberry, Blackberry, gosh I think I'm forgetting some. Making sorbet is such an easy process and you don't even need an ice cream maker to do it, just your basic kitchen tools and you have this fancy, beautiful, silky sorbet. In a medium sized pan place sugar, water, lemon juice, strawberries, and lemon zest. On medium high heat bring mixture to a boil stirring constantly. Boil 5 minutes and remove from heat. Place mixture in the refrigerator and cool until cold. Strain mixture into a container that you can freeze. **Note** Mixture should have no large chunks or zest. Place mixture in the freezer and leave there until completely frozen. 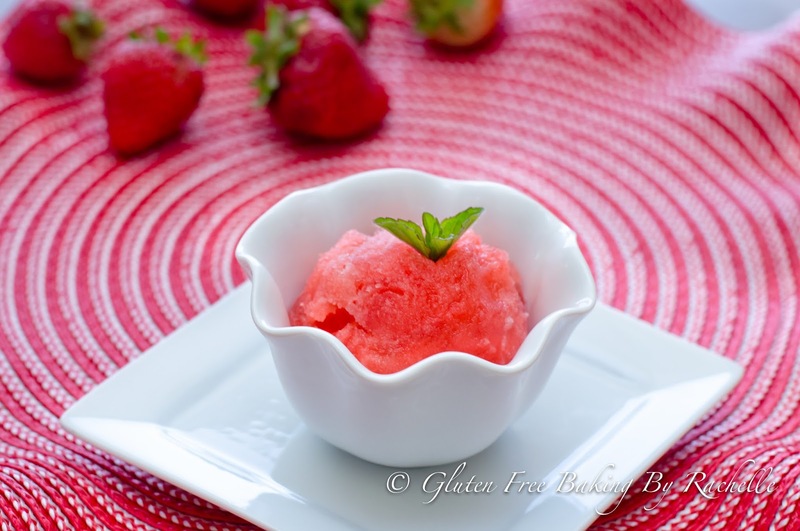 Love Strawberry Sorbet! Always a favorite! This looks so refreshing. Can't wait to make it.